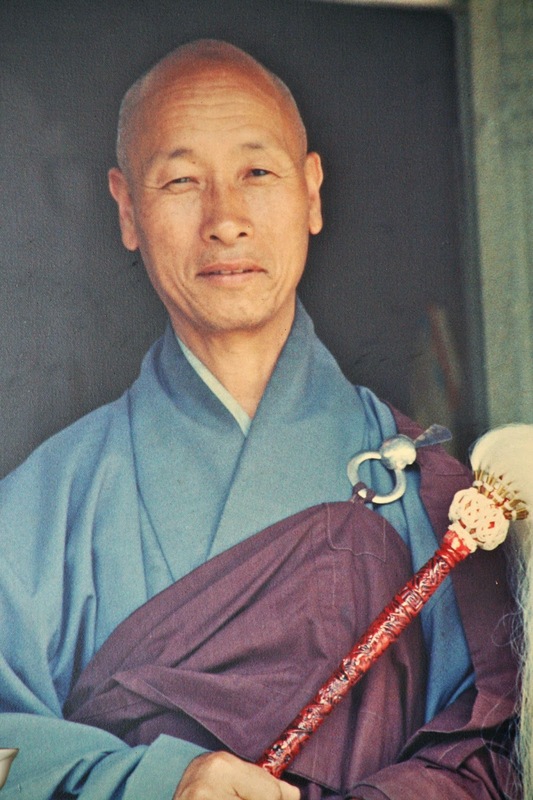 While on a pilgrimage Kusan promised to a dying fellow monk named Popch’un Sunim to assist him after death to find liberation through his own enlightenment. “I went to stay in a small cabin behind the hermitage. days and nights I stood like this. I would only sit to eat my meals when they were brought. Then, once again, with my palms together, I would resume the meditation standing on my toes. In such standing meditation the hardest part is to get over the first two hours. After this, the main difficulties are overcome. Whether sitting, lying, or standing, one s meditation continues unaffected as soon as the mind is settled in concentration. Consequently, I felt neither tiredness nor pain in my legs as I was pursuing this practice. On the day of the memorial ceremony, around three o'clock in the afternoon, the spirit of Popch’ un Sunim appeared to me. He was wearing a traditional hat, holding a wooden staff and carrying a monk's knapsack on his back. He said, “I came to visit you as it is the forty-ninth day." go down for the ceremony. As I had not been able to awaken, what would have been the use of going? The monks there performed the ceremony, but I just continued meditating. “One single sound: the three thousand worlds are swallowed up. This fellow appears alone and shouts “Ha"
The ticking of the clock is but the all-embracing exposition of the teaching. This was one time when I put effort into my practice in order to ferry a friend across. like the experience of a clear sky completely free of clouds. before awakening. If you raise a strong resolve and persevere with great effort, the practice will rapidly progress. If you put little effort into the practice without any sense of urgency, awakening will take immeasurable aeons. Intense love for Truth is alone able to give itself in such a way!